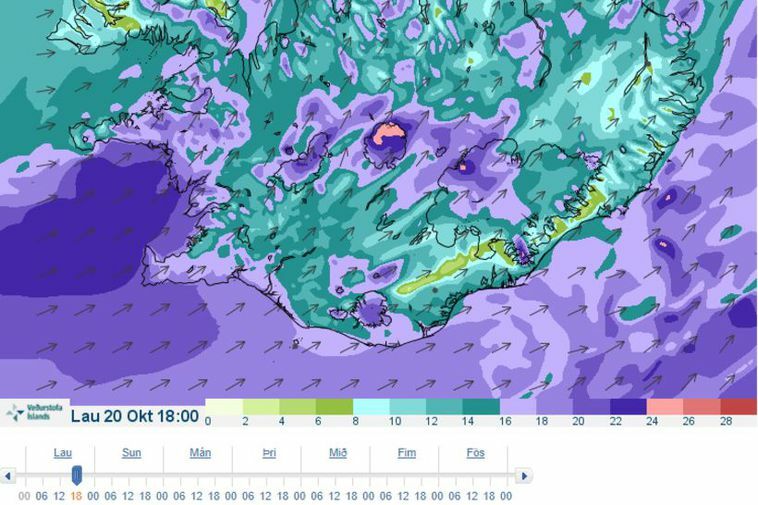 A storm is expected this afternoon in many parts of Iceland including the capital area with windspeeds that can reach 40 m/s. The weather should subside by noon tomorrow. People are warned that the weather forecast is changing very quickly and asked to follow the forecast carefully.